IPES Learner Powers: Cooperative, Reflective, Self-Directed, Perseverance, and Courageous. Please see the attached letter for updates to our school's Shelter in Place protocol. Please see the attached HIDOE Letter from Superintendent Kishimoto on February 22nd, 2019. Kamehameha Schools is hosting the Kilohana - Hawaiian Culture Based Education programs to be held in Kapolei. We have students who have allergic reaction to peanuts/nuts. Strict avoidance of peanut/nut products is the only way to prevent a life threatening allergic reaction. We are asking for your assistance in providing our student with a safe learning environment. We received the following letter from Campbell High School detailing an incident that happened Friday, February 1st. The safety of our our students in the community if of utmost importance to us. Attached is the copy of the letter that went home to their families. 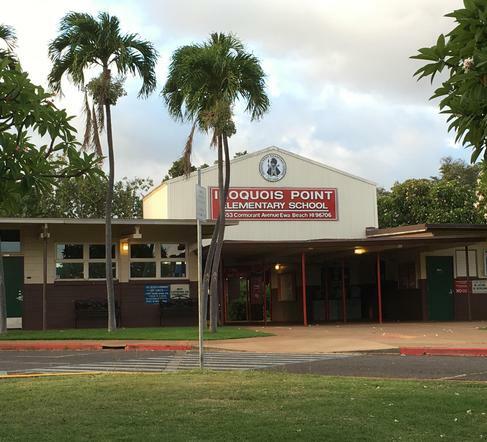 Elementary School Accreditation: In 2012, the Hawaii State Board of Education approved the Hawaii Department of Education’s five-year plan to accredit all public elementary schools that have not previously been accredited. 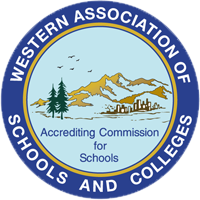 IPES its journey to WASC accreditation in 2015. To begin this process, a visiting team came for an initial visit on February 20, 2015 to begin our WASC Focus on Learning (FOL) process. Over the past 2 years, we conducted a self-study for school improvement with a primary focus on student achievement. We took an in-depth look at what currently exists and what needs to be improved in relation to student learning and the school’s program. Through this process we evaluated the progress made in addressing the six priority strategies of the Hawaii State Strategic Plan. These are: the Academic Review Team, Common Core State Standards, Educator Effectiveness Systems; Formative Instruction/Data Teams; Induction and Mentoring; and the Comprehensive Student Support System. In April 2017, the WASC Visiting Committee confirmed that our findings affirmed our next steps for continuous improvement. The team was especially pleased at how the teachers manage all of the different state and complex initiatives to create a well balanced curriculum for our keiki. The ACS WASC Commissioners have determined that Iroquois Point Elementary School (K-6) met the criteria for accreditation. This accreditation status is based on all of the information provided by the school, including the self-study report, and the satisfactory completion of the on-site accreditation visit. It is the decision of the Commission to grant a 6 year accreditation status with one mid-cycle visit. A big mahalo to teachers, parents, students and community members who were actively involved in our school's WASC self-study.